Governor Erico Aumentado represented by Atty. Handel T. Lagunay, our keynote speaker who will be properly introduced later, Sir Gregg Gabison, the convention chair, my colleagues in the national board, regional presidents, my fellow IT educators and members of PSITE, our dear sponsors, my peers, ladies and gentlemen, maajong buntag sa tanan, magandang umaga sa inyong lahat, good morning. This was the first phrase I spoke when I assumed the presidency last year. PReParE is the acronym of our thrust, meaning Professionalism, Research, Partnership and Education. And this convention is PReParE in action, with the theme “IT Academia in the Next Decade”. 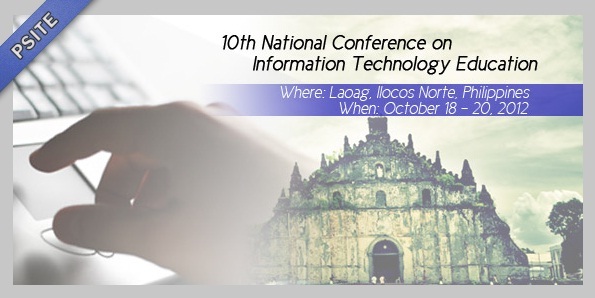 To search, to find, to learn, to teach, to develop and to apply are the goals of the IT educators present here today. This is in preparation for this decade and the next decades. It is fitting therefore that the each of us will lend our ears to the speakers and presenters. We invited resource speakers who are experts in their field, those who are in authority, and new and innovative product presenters. So we have a full packed convention. Plenary sessions include tracks on “Flattening the IT Education Sphere”, “Addressing ICT Education Gap Through Partnership” and “Service Science, Management, and Engineering (SSME)”. We will also hear a presentation on Educating Voters as an ICT Challenge. As in the past, we will have a Jedi Party Night tomorrow at the flushing meadows hotel. We hope that you will enjoy what we have prepared for you. During our General Assembly, you will not only listen to the president and treasurer’s report but also cast your vote for the new set of officers. Towards the end of the last day, the ITE Undergraduate Thesis and Project Framework will be presented. This was a result of the initial meeting during our NCITE last year and a workshop last month. This 12th PSITE national convention could not have been pushed through if not for the hardwork of the organizers, headed by Sir Gregg Gabison, the convention chair, Sir Dave Marcial, chapter president of PSITE region 7 and local organizing chair, and the support of the PSITE Board, and most especially our sponsors. The presence of our governor here, ably represented by Atty. Lagunay, indicates the all out support of the local government to gatherings like this. 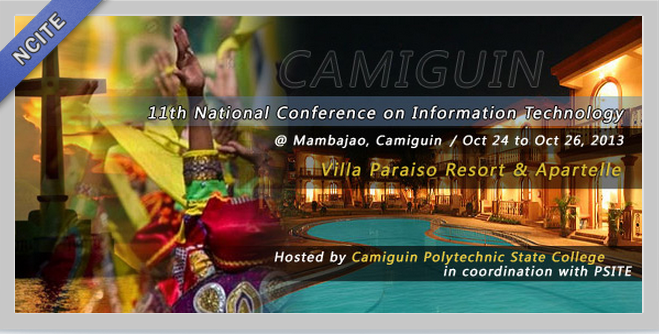 Bohol is such a wonderful place to live, to have a vacation and also hold conventions. Let us make the most of our stay in this beautiful province of Bohol, with the beautiful sceneries, wonderful, tempting beaches and peace-loving and friendly Boholanons. I am sure that you came here PReParEd and you will not only search, find, learn, teach, develop and apply, but also meet your peers, make new friends and enjoy.